F2903133# 14615 62ND AV, Surrey, Sullivan Station - Realtor in Surrey with Century 21 Coastal Realty (Surrey) Ltd. Description: Impressive quality throughout in this 6 month old, 3 level home. Bonus 3.65% 5 year or 3.25% variable rate mortgages available! Lots of room in this spacious home. On the main you will be impressed with the open living room with the vaulted ceilings and which leads to a large dining area. Both the main kitchen and the spice kitchen features exc maple cabinets with granite countertops throughout. The family room is large and bright with custom cabinets. 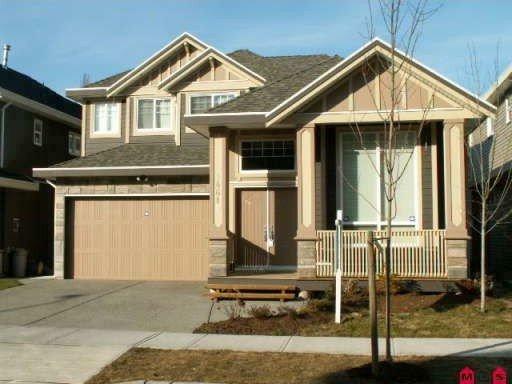 Upstairs has 4 bdrms and the master has double door entry with a luxurious ensuite. There is another master on the top. The other 2 bedrooms will share a bath. Downstairs has lots of room for the growing or large family with a separate media room and 2 other bedrooms here w/a full bath.